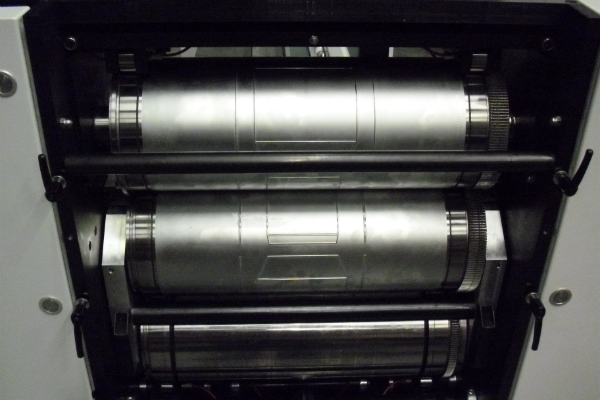 The Offset Flexible Cut die-cutters are specially designed for the offset printer. The machine is equipped with all the necessary features for a trouble free fast operation. Standard equipped with pile feeder, print-mark register control and two different anvil cylinders, a standard hardened anvil and a magnetic anvil. For cutting only the standard anvil is used with a simple cutting plate on the magnetic top cylinder. 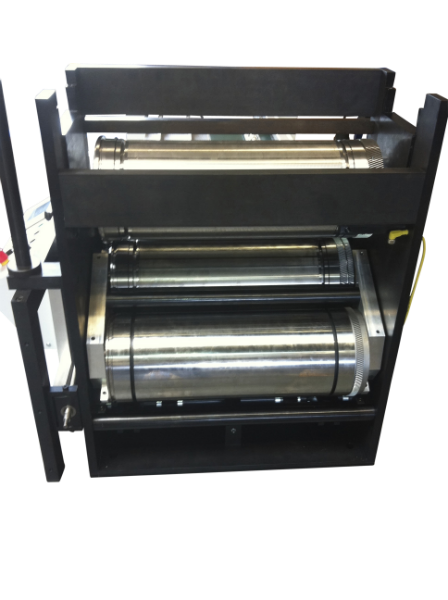 Creasing jobs require a counter line, in this case the magnetic anvil cylinder is used with two flexible dies, the top die with the cutting lines and male creasing lines and the bottom die with the anvil lines and the female counter creasing line. The two anvil cylinders are mounted in a carrousel and can be changed in a 2 minutes. 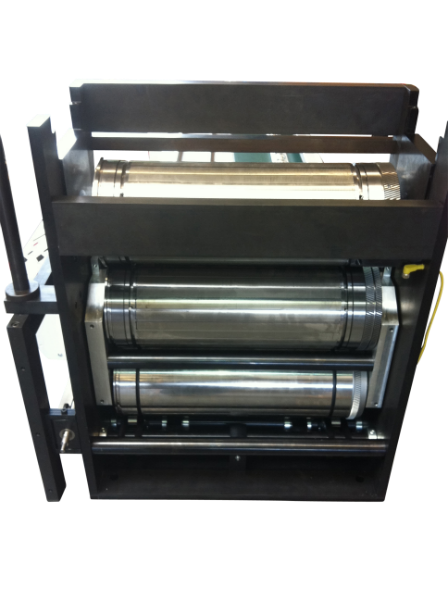 The cylinders run with a fixed gap that assures perfect cutting. The fixed cutting gap avoids operator errors that might damage the flexible die. 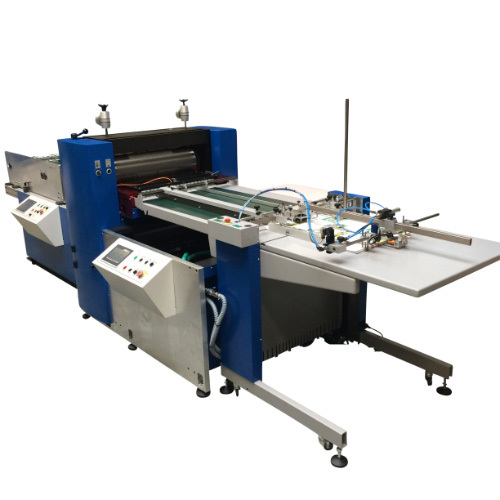 The register control has two optical sensors, one for sheet detection and on for print detection. 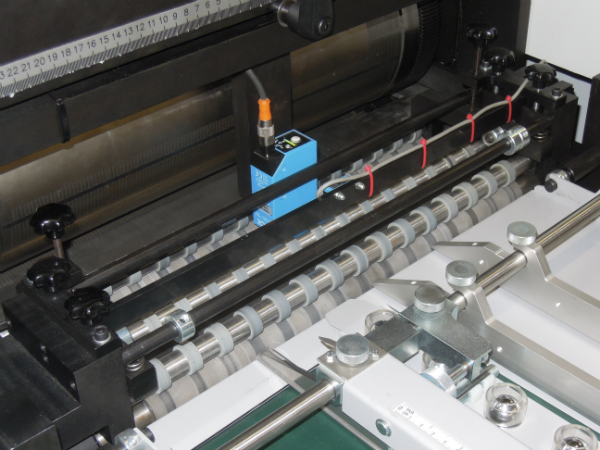 The die-cutting unit has a diagonal adjustment guaranteeing perfect register to the image. The solid construction offers reliability, fast make ready with virtually no waste. OFC B2+ size with AWSD. 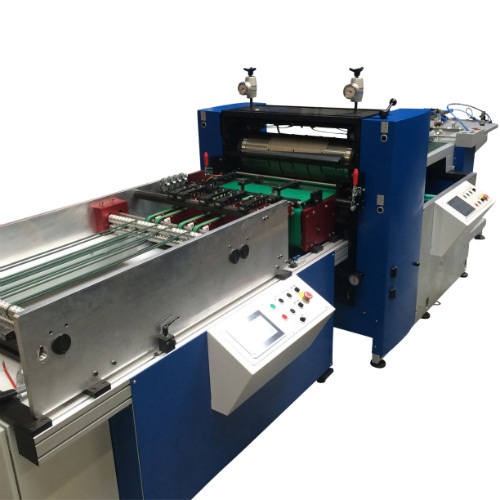 Automatic waste stripper after OFC B2+ size. 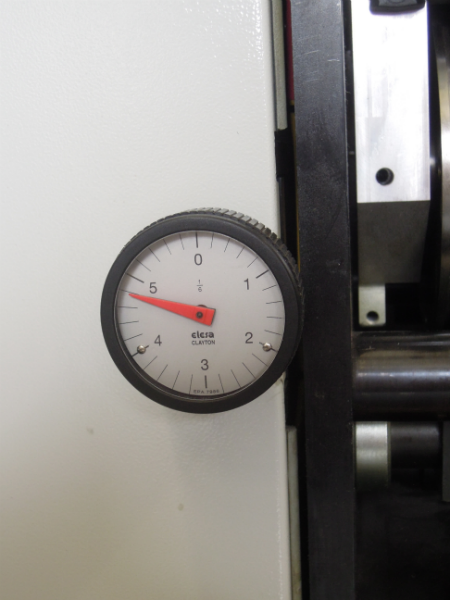 Angle adjustment die cutting unit. Triple infeed with printmark sensor. OFC wit automatic waste stripping device. 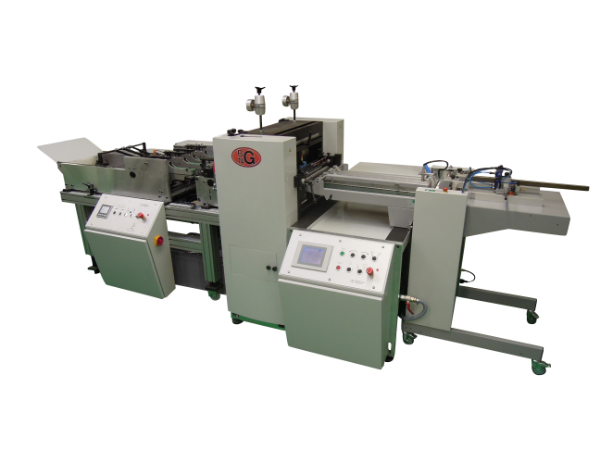 OFC AWSD sheet fed rotary die cutting machine running boxes. OFC AWSD – sheet fed rotary die cutter running garment labels. 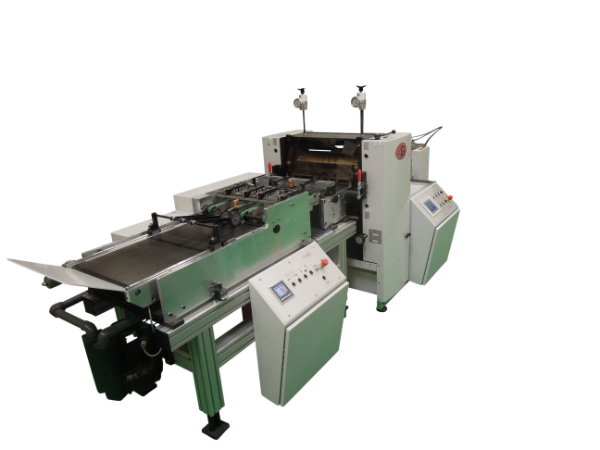 OFC B2 mailer die cutter with folder in-line. OFC B2 Mailer cutting with folding device in-line. Die mounting on OFC die cutter.